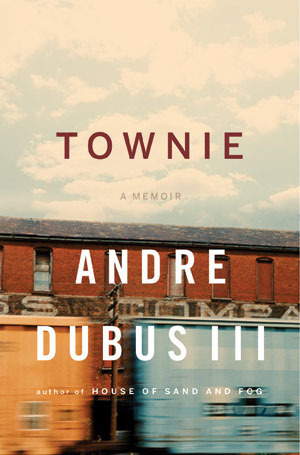 An acclaimed novelist reflects on his violent past and a lifestyle that threatened to destroy him - until he was saved by writing.After their parents divorced in the 1970s, Andre Dubus III and his three siblings grew up with their exhausted working mother in a depressed Massachusetts mill town saturated with drugs and crime. To protect himself and those he loved from streeAn acclaimed novelist reflects on his violent past and a lifestyle that threatened to destroy him - until he was saved by writing.After their parents divorced in the 1970s, Andre Dubus III and his three siblings grew up with their exhausted working mother in a depressed Massachusetts mill town saturated with drugs and crime. To protect himself and those he loved from street violence, Andre learned to use his fists so well that he was even scared of himself. He was on a fast track to getting killed - or killing someone else. He signed on as a boxer. Nearby, his father, an eminent author, taught on a college campus and took the kids out on Sundays. The clash of worlds couldn't have been more stark - or more difficult for a son to communicate to a father. Only by becoming a writer himself could Andre begin to bridge the abyss and save himself. His memoir is a riveting, visceral, profound meditation on physical violence and the failures and triumphs of love. I appreciated the honesty of this memoir, but I think the memories of fighting could have been condensed some. Dubus did, however, write candidly about his family, making it worth reading. It's also a story of personal growth, which I like.